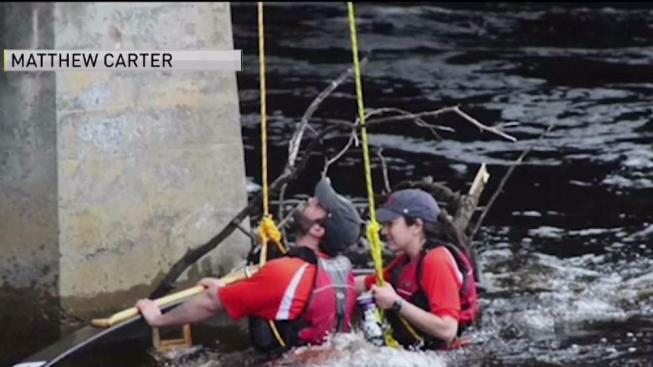 Two people were rescued from the Charles River on Sunday. Firefighters rushed to the Elm Street Bridge by River Street in Waltham around 2:20 p.m. Sunday to help the two kayakers who were stuck under the bridge. A witness tells NBC10 Boston that the two people were trapped in the water for about 20 minutes. Due to recent rain, the river is moving faster than usual.